A beautiful day on Tampa Bay last weekend brought out sailors and boaties taking advantage of the breeze and perfect temperature to enjoy a day on the water. 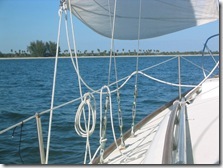 Sailing out of northern Anna Maria Island presents no barriers or bridges into Tampa Bay, the Intracoastal Waterway, and to the Gulf of Mexico. 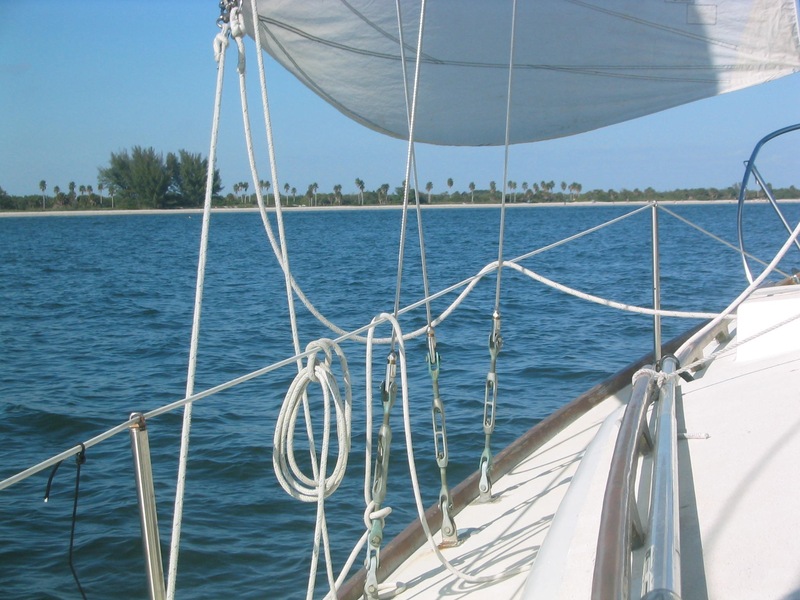 Tampa Bay is one of few Florida deep water bodies of water, along with Charlotte Harbor, where keeled sailboats can enjoy unencumbered cruising without too much fear of running aground on shoals and dredged spoil banks. 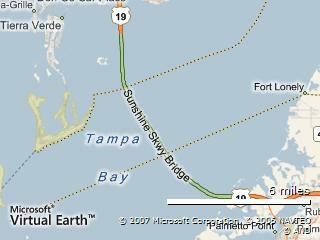 Sailing under the Sunshine Skyway Bridge is a treat and navigation is little constrained up to St Petersburg. Out in the direction of the Gulf of Mexico the ship channel is around 90 feet deep but care must be exercised to avoid being in the path of frequent merchant ships, towed barges, and cruise ships. Within the protected Tampa Bay area close to Anna Maria Island we enjoyed a close reach up to De Soto Point, and return toward Bean Point, with a couple of broad reaches toward Manatee River and back to Anna Maria Island at the Galati Marina entrance. Noted by its absence is Passage Key, until recently a favorite anchoring spot for pleasure boaters, sun bathers, and a protected bird sanctuary, but now under water, as a consequence of shifting sands. Thanks to Ed for an ideal way to enjoy lunch and company for a few hours, get away from home chores, and appreciate the dolphins and seabirds. This entry was posted in Sports and tagged Boating, Bridge, Maps, Marinas, Wildlife on April 29, 2008 by Mike.